Bhimduttanagar –In a brazen breach of a common understanding reached earlier in the Nepal-India joint border survey team, the southern neighbour has hastened to unilaterally construct a road on a border nearby Bhimdutta municipality-9, Brahmadev. Presently, the Indian side is expanding road connectivity nearby main pillar number three along the Nepal-India border area claiming its territory. It may be noted that the joint survey team had agreed to recognize the Tanakpur dam step - which was constructed at power house towards 1000 metres north from Tanakpur) – as Nepal-India border following the survey. Indian's long drive to construct around 1300 metres road from Tanakpur barrage to the fence of Brahmadev Bazaar in the north has irked Nepali denizens on the border. Ward-9 Chairperson of Bhimdutta municipality, Ram Nath informed that India has initiated expanding its road encroaching around 200 metres Nepali land without once coordinating with another side. There has been a persisting dispute after the disappearance of border pillar number 3. The survey team had presumably concluded that the disappeared border pillar (number 3) lies in the same border area where the road is being built now. Locals people resorted to protest the hegemonic drive of Indian side in expanding road in the same border area, said Gagan Singh Karki, a local. He further shared, "The number 3rd border pillar was located in the mid of the Mahakali River in the year around 1992. I had taken my cattle for grazing nearby the pillar area then". Karki further asserted that the Indian side has been encroaching upon the Nepali territory after the disappearance of the border pillar. The third number pillar which was located in the mid part of the river was lost in course of the construction of the Tanakpur bridge and dam. Likewise, the Indian side is also constructing 1300-metre long road along the Tanakpur barrage area nearby embankment. 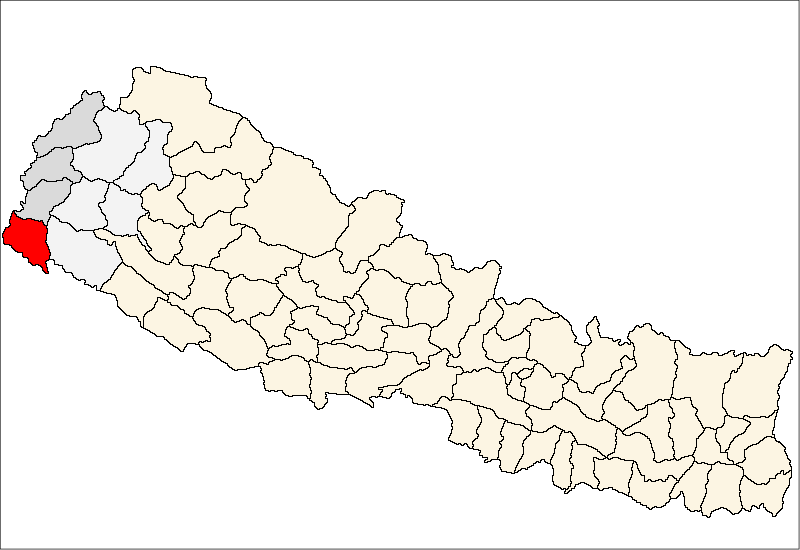 Ward Chair Nath said, "We had informed the local administration and municipality mayor about the unruly construction of road from Indian side ignoring the no-men's land and Nepal-India border". Acting on the information, a team of security agencies headed by Kanchanpur Chief District Officer Kumar Bahadur Khadka on Tuesday had made inspection of the road construction site. "The Indian side has not made any coordination with us while constructing the road", CDO Khadka said, adding, "We urged Indian side to carry on the works only after settling the longstanding dispute on the border area through joint survey team".